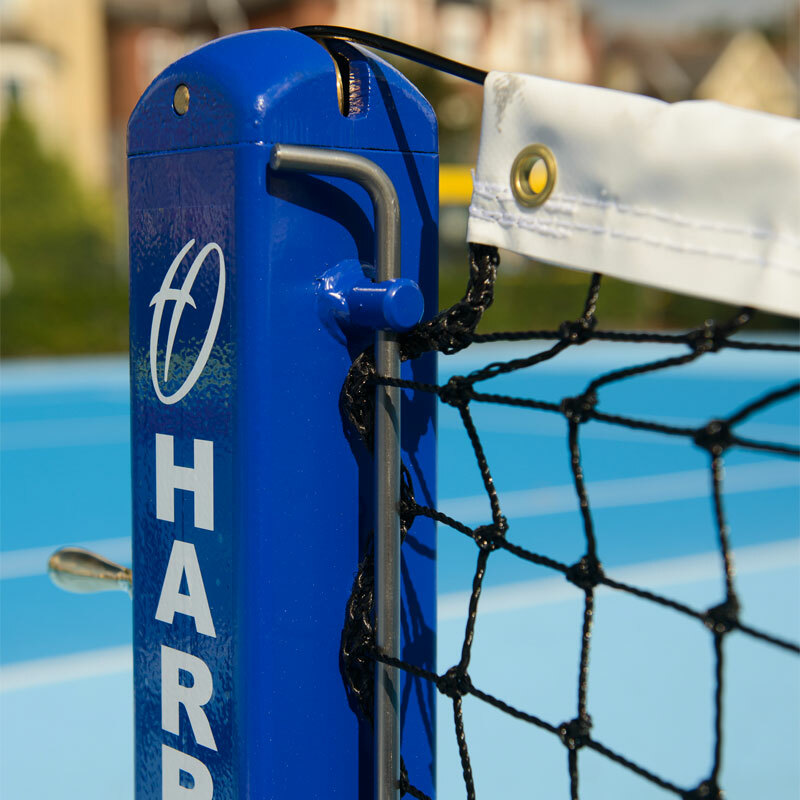 Harrod Sport ® Socketed Steel Mini Tennis Posts are top quality posts made from 76mm square steel. 2 x Net retainer rods. 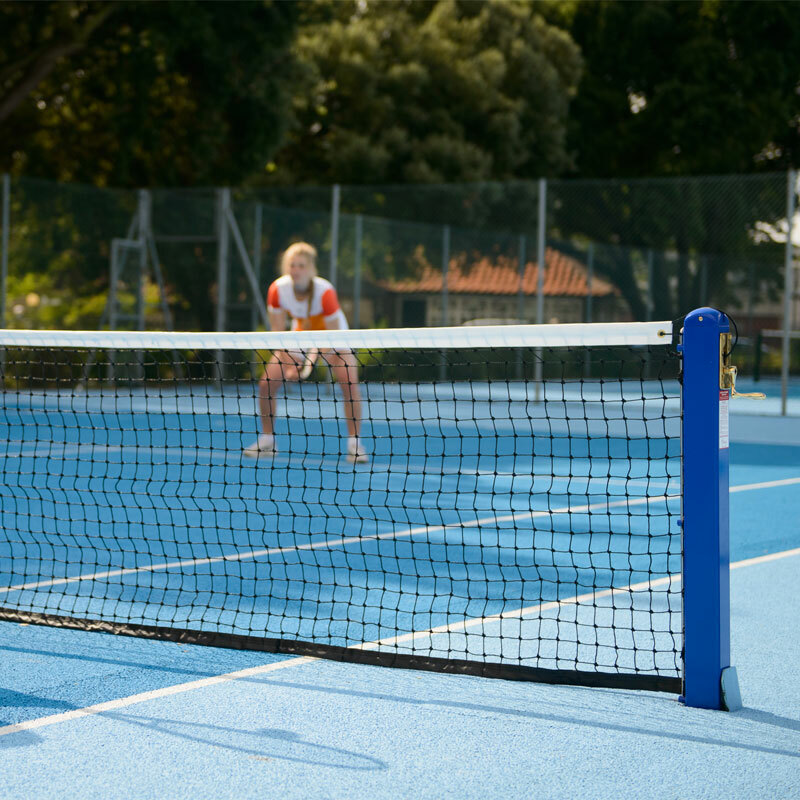 1 x 2.7mm polyethylene, single twine Tennis Net. Polyester powder coated for a scratch-resistant finish. Complete with British brass winder and stainless steel net hooks. 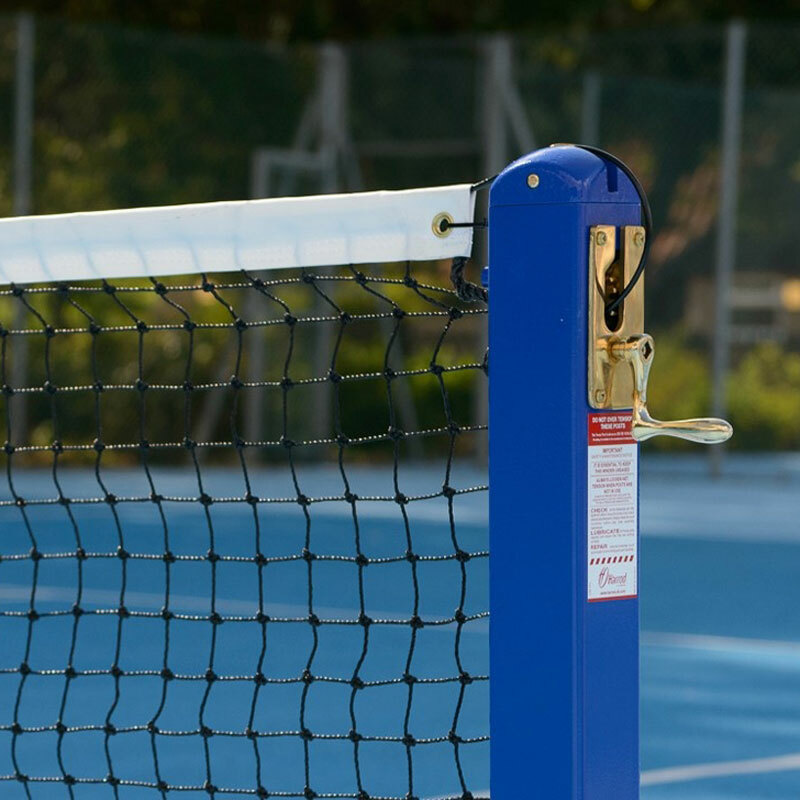 Posts are supplied with hinged steel sockets with galvanised finish. Total weight per set 27kg. Net size 5.94m x 0.86m. Thickness 2.7mm. Colour - black, black band on side and bottom, complete with a white headband. 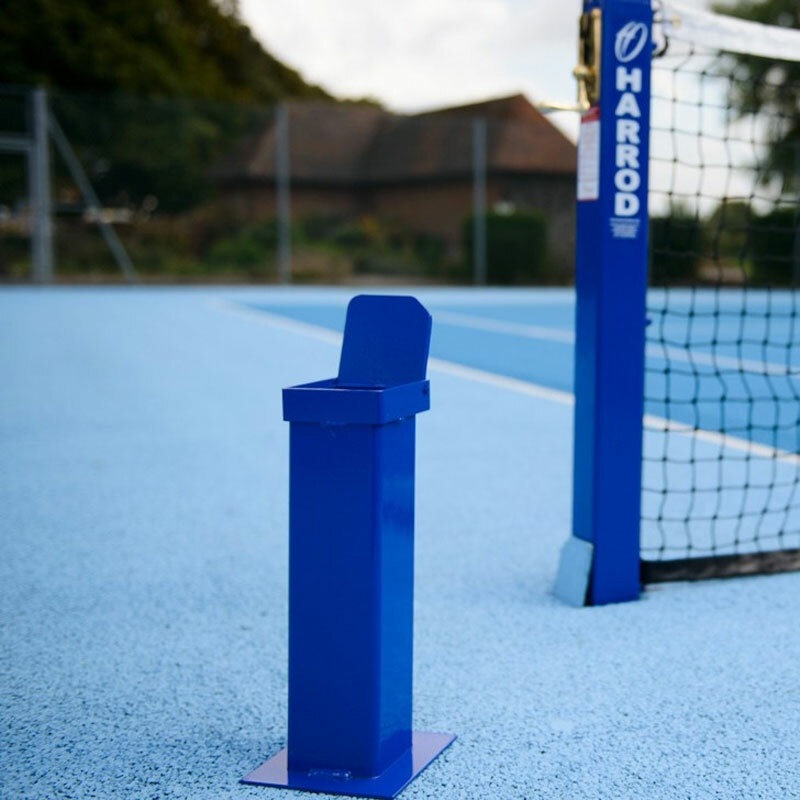 Lost the instructions for your Harrod Sport ® Socketed Steel Mini Tennis Posts? Please Click Here to download a new copy.